Welcome to "absoluteoverland.com" a website that will provide you with useful information to plan your overland trip. At Thormählen & Cochran, we are dedicated to making your Africa trophy hunting safari a memory for a lifetime. Come experience one of the greatest adventures on earth! 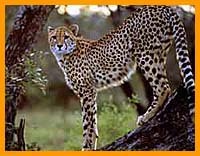 We specialize in dangerous game, as well as all South African plains game safaris from a blue duiker to a black rhino. Is a Cape Town based inbound operator. As local agents we can specialize in group events to South Africa. Kenyas best hotels, camps, lodges and wildlife safaris. Whether budget or luxury, we can suggest the best of the best Kenya has to offer. The Chimfunshi Wildlife Orphanage continued its commitment to providing orphaned chimpanzees a "virtual" wild experience when it transferred a group of 13 to a new enclosure that covers 75 acres of forests and grassland in central Zambia. Big Bafer, Little Bafer and Wild Coast Ultra. Approximately 6000ha in extent, is situated in the Ceres – Tankwa Karoo, just off the Calvinia Road (R355) and is 70km from the town of Ceres. Whether it be for pleasure or as a student of wildlife, EcoLife offers an exciting, hands-on, in-depth and educational experience. We market the business hub, exciting nightlife, adventurous outdoors, scenic wildlife and affordable tours of Gauteng. Home of high-detailed maps of Southern Africa, a brand of paper and digital GPS maps developed and researched for the adventurous traveller, those who demand more from a road map than the ordinary motorist. 4x4 Trips & Information, the LROC is a family orientated club, exclusively for Land Rover enthusiasts. This small village lies at the heart of a beautiful region of mountains, valleys, rivers and indigenous woodland - home to a variety of birds. Discover your soul in yhe heart of the karoo! Many people have thought that the name MontEco has something to do with the mountainous terrain in which we are located, and that was indeed also a consideration in deciding on the name of the reserve. It is on the doorstep of the Nylsvlei(a Ramsar site), with the main Reserve a few kilometres upstream. African wildlife and nature specialist stock photo agency. 40,000 quality images - including many rare and endangered species. Digital delivery. 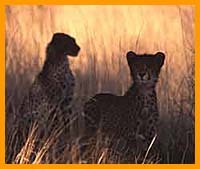 Also for the photo enthusiast - hot photo tips and techniques, photo gallery, books, best game routes in Kruger Park, and lots more! Outward Ventures is based in Claremont Cape Town and was established in 1988 by Geoff and Jeanne Ward. Our purpose is to market and distribute top quality equipment to the outdoor market through specialist retailers. We hope to share our experience in equipment, packing, planning and day to day life on the road in a blog form and would like to encourage everyone to ask us questions, make suggestions or share thoughts. Search and compare flights in South Africa. South African all-in-one mega web portal. Experience the true meaning of the outdoors. Stirrup Glen offers a range of horses to ride and view real African wild game. (Sen’coo), one of the world’s mighty rivers, rises in the mysterious Maluti Moutains and flows across an entire subcontinent. Vets4Africa brings veterinary science professionals from around the world to experience Africa in a way uniquely tailored to complement their professional interests. ViewSouthAfrica.com offers photos of South Africa taken by people who have travelled the country and enables members to gain a view of South Africa. This site contains links to resorts and tourism activities, as well as information on the history of the people and geography of the area... and news and forums on environmental concerns. Is an Aspiring Photographer with a dream of capturing the ultimate Wildlife and Extreme Sport / Action images.